Woo hoo! Today we finally started weaving. Eufrocina is our tutor and thankfully she's very patient with us. 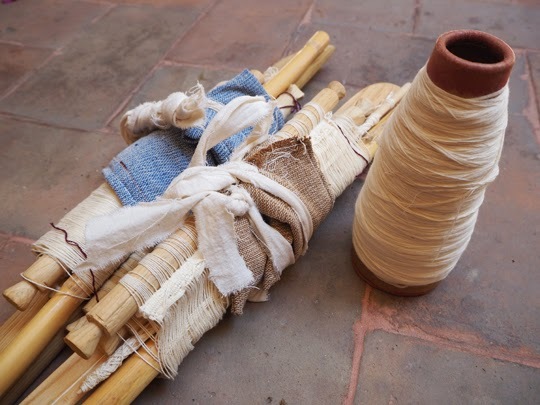 These are our little backstrap looms – they're very portable, as you can see. You basically unroll them and strap one end to a pole or a tree and tie the other end around your back. I was way too busy concentrating today, but I'll make sure I get a photo of us in action sometime soon. 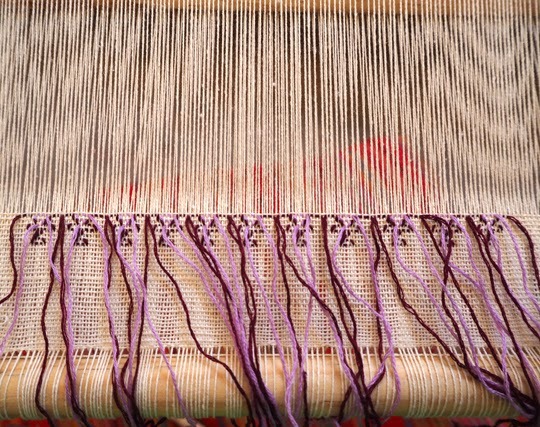 We first did a few rows of plain weaving before we started a simple geometric pattern. The pattern we chose is a motif that's based on the lifecycle of maize. Mia and I thought we'd be better starting with the same pattern, that way when Eufrocina isn't there we can help each other along. Here's the first colour being added in. It's all in cotton and the colour is just embroidery floss. Here's the second colour being added in. 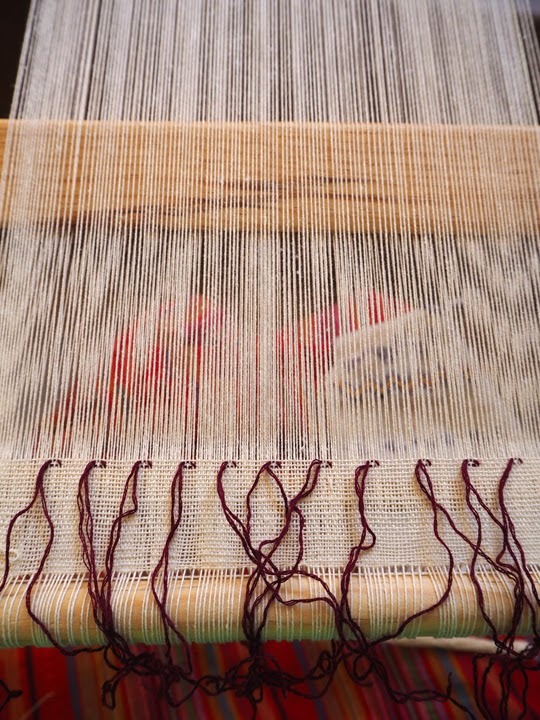 This type of weaving isn't really like the backstrap weaving the Navarro family were doing. 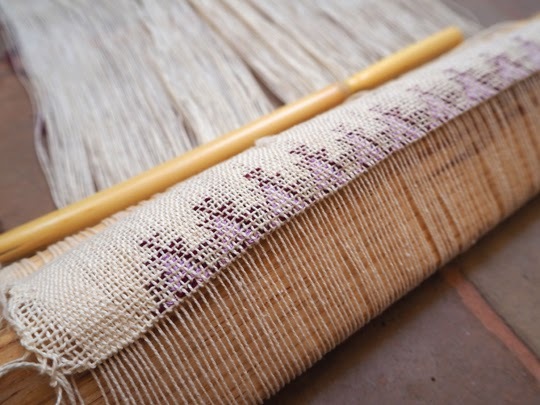 If you go back to that post you can see that their warp is a number of different colours, the weft is a single colour and they make all the patterns by passing the weft under and over certain warp threads. As well as a very numb bum. Thanks so much Liz. Great to hear from you. Yes, I'm going to give this a go for a couple of years and we'll see what happens!